In today’s world, customers expect companies to know who they are and what they want. Customers want to have products, services or experiences that best suit their needs delivered to them seamlessly across physical and digital channels. Hux by Deloitte Digital gives companies the ability to build and leverage the connections – between people, systems, data and technologies – so they can deliver personalized, contextual experiences to customers at scale. As a Marketing Campaign Operations Specialist, you’ll work alongside our clients to design, develop, and execute omni-channel marketing campaigns in a variety of campaign tools in accordance with clients’ specifications. You’ll also be responsible for process improvements and campaign automation to make campaigns more efficient. You possess a deep understanding of the campaign management lifecycle, including data quality, QA, email deliverability, and measurement of ROI and KPIs. 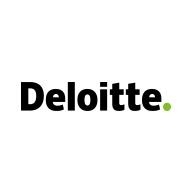 Day to day, you’ll work with client and internal Deloitte teams to ensure the successful and timely execution of scheduled campaigns.